The ATC workshop, which took place at the Institute of Directors in London, was led by Raisa McNab (Quality & Training Manager at Sandberg Translation Partners) and Chris Cox (BSI representative for the UK at ISO and Chair of the ISO Sub-Committee for translation, interpreting and related technology). The main focus of the workshop was towards translation service providers (TSPs), however there was plenty of information relevant for practising freelancers. A copy of ISO 17100 can be purchased from the BSI Group for £152.00, or directly from ISO for CHF 118 (about £83.00). The main text of the standard is only 11 pages long (19 including the introduction and annexes) and is generally clear and easy to read and follow. The standard provides clear definitions for check, revision, review and proofreading, which are regularly used interchangeably by translators and clients alike, as well as other terms used in the translation industry such as Project Manager, post-edit (with regards machine translation), domain and locale. 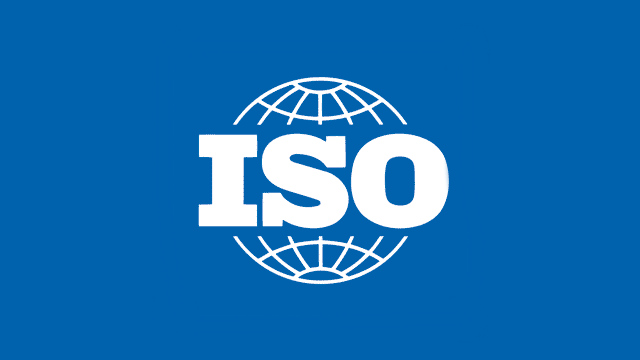 As a minimum, a service conforming to ISO 17100 must include translation and revision ("bilingual examination of target language content […] against source language content") by a competent translator and reviser. 1. "a recognized graduate qualification in translation"
2. "a recognized graduate qualification in any other field […] plus two years of full-time professional experience in translating"
3. "five years of full-time professional experience in translating"
Certain clarifications are provided in the standard pertaining to the above qualifications, notably that a "recognized graduate qualification" can be an undergraduate qualification ("first degree level of academic award") and a languages degree such as French or German Studies that "includes translation training", and that translators falling into categories 2 or 3 who have been working part time could be considered compliant, so long as they are able to demonstrate experience equating to two or five years, something that TSPs will need to document. An interesting, and deliberate omission in the competences and qualifications was a requirement of TSPs to employ the services of native speakers of the target language. The speakers did confirm that this issue was debated at length when developing the standard, however given the lack of competent native speakers in rarer language combinations (including, as Raisa pointed out, Finnish to English), it was decided not to include this requirement in the scope of the standard. TSPs are required by the standard to "keep a record of the evidence upon which the professional competences [of linguists] have been demonstrated". This essentially means that, where possible, translators and revisers have to provide copies of their relevant qualifications (e.g. scanned copies sent by email) and experience to confirm that they fulfil the above criteria. There is nothing in the standard, however, that requires TSPs to obtain photographic ID from freelancers in order to conform to the standard. TSPs have been encouraged to evidence their suppliers' CPD activity, which will be of no surprise to freelancers who have received requests from agency clients requesting a comprehensive list of their CPD activity for the past x number of years. Many linguists will of course be already doing this, or will at least have a rough idea of where the relevant information is, but this can still be difficult when it comes to CPD that is harder to evidence (e.g. time spent in source countries, reading newspapers/books/magazines or watching films in the source language). The good news is that there is no minimum requirement of CPD in order to conform to the standard, rather that translators should demonstrate an ongoing commitment to CPD, something most translators, especially Chartered Linguists are already doing. Freelance linguists who regularly provide a service that includes revision by a second linguist may already be providing an ISO 17100 service, provided that both have the relevant qualifications defined above, and therefore may want to consider certification, given that the documentation requirements would be less demanding if the service involves a small team of linguists in one or a few language pairs as opposed to an agency working with several language pairs and collaborating with hundreds of linguists in complex translation workflows.